Professional 2-way speaker system with exceptional efficiency, long throw and unmatched intelligibility of sound. It consists of two 15” high performance full range dual cone speakers and a High frequency compression driver. The speaker system is housed in an acoustically treated Bass Reflex Trapezoidal carpet covered enclosure. The cabinet has been fitted with heavy-duty handles to allow ease of transportation and a strong steel grille for speaker protection. 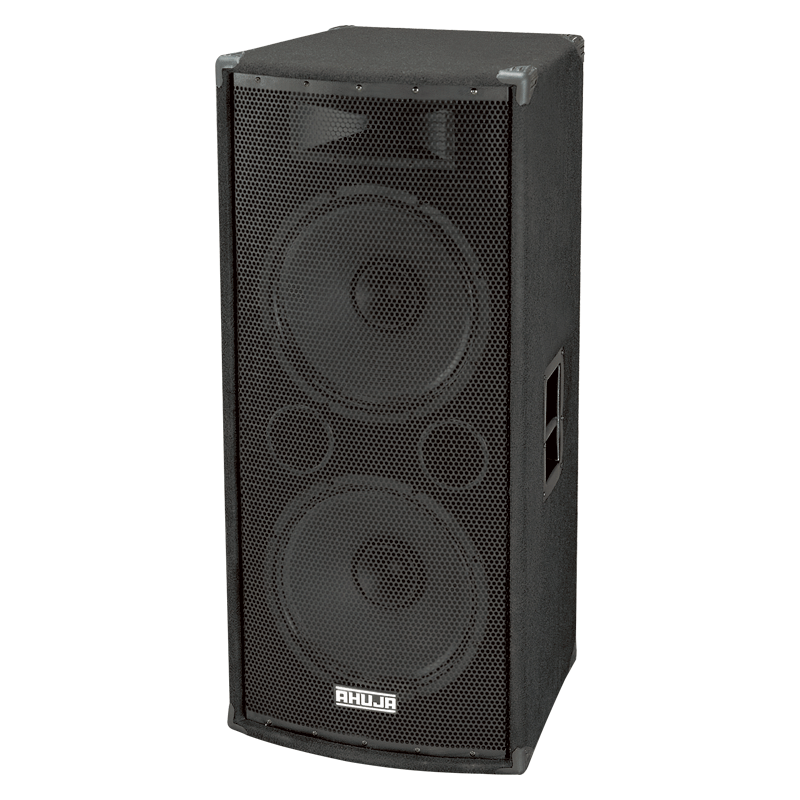 Ideal for both indoor and outdoor sound reinforcement applications. Specially designed for Auditoriums and DJs.